Loubee Lou Blogs: Dork Diaries TV Star! 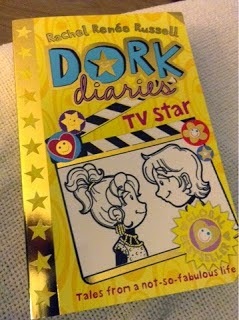 This time it's a book by Rachel Renée Russell who writes the Dork Diaries series. Rachel is an award winning American author whose stories are based around Nikki Maxwell: a normal dork just trying to get through middle school. I have to admit that although I've seen this series of books both online and in store, I haven't really looked into them or heard what they're about. My sister's have mentioned the series once or twice in passing but haven't ever shown an interest. 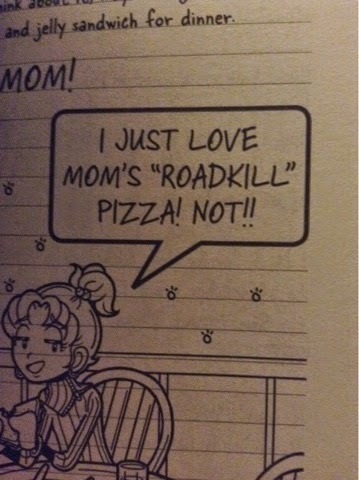 That was until World Book Day this year when they picked up a copy of a Dork Diaries book with their coupons. They then showed an active interest in the series so needless to say they were really excited when this came through the door. At first glance, the book is really eye catching and girly. When I flicked through I saw loads of quirky detailed illustrations and foot notes. The book is set out differently in the style of a diary. 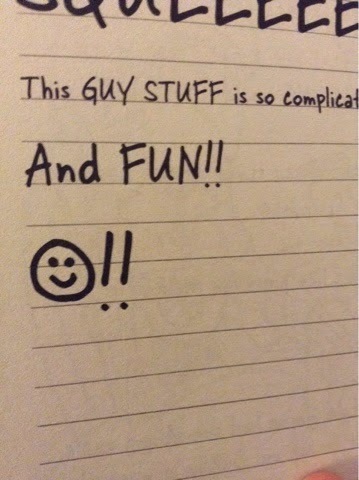 The book features little smiley faces and a 'handwritten' style type which makes it really friendly and cute. So my sister happily took the book (and my arm...) and set to reading. She was a good three quarters of the way into the book when I asked her some questions. Okay, so have you been able to choose a favourite part of the book so far? Well I like when Nikki is told she has her own show. Oh and I love that Nikki uses the word 'crud'. It really makes me laugh. Her humour makes the whole book so funny. Another thing I like is the layout. The writing looks like it has actually been written rather than typed. It really is like a diary! Can you relate to any characters in the book? 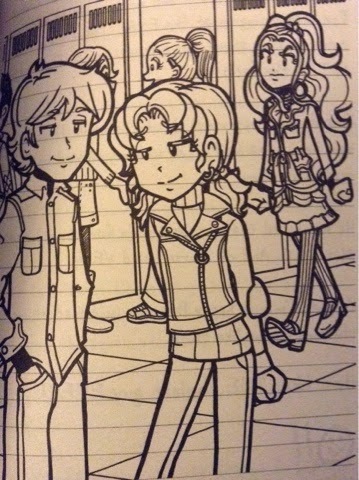 Well Nikki is my favourite character because she's a total dork. She also has an annoying bratty little sister just like I do. Is there anything you dislike about the book/story? Well I don't dislike anything but if I could change one thing, I'd make the book shorter. I think the chapters need to be shorter and snappier because it's easy to get distracted by the cool pictures. Have you read anything like this before? It's similar to Diary of A Wimpy Kid. It's a really funny, girly version of it. Yep. I'd recommend it to my sister first of all because this is definitely the type of book she'd enjoy and relate to. You can also keep up with everything dork over on the social media pages like Facebook, Twitter or the official website. If you want more information from the company Simon & Schuster Kids, you can get more info on their Twitter page or Facebook.